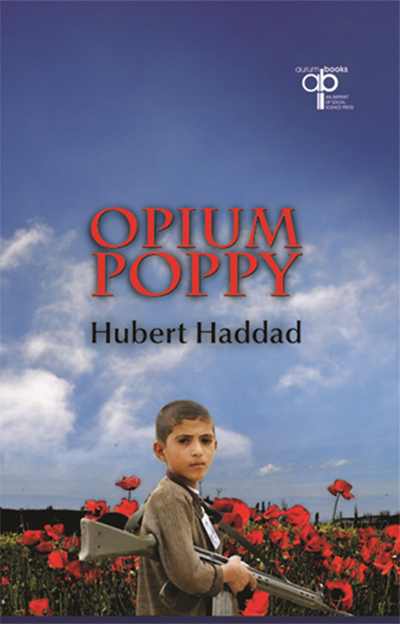 This is the first book in the Series. 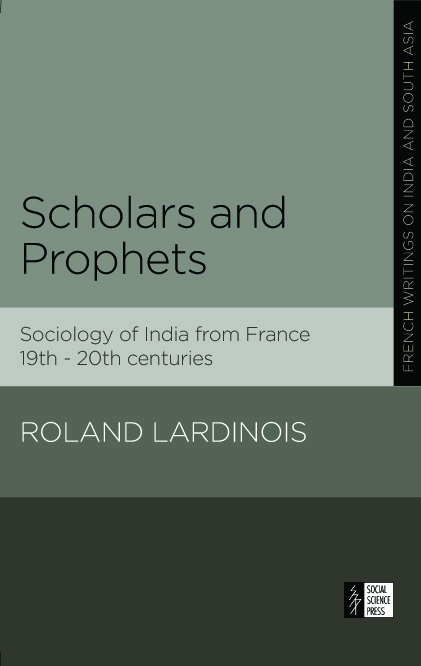 Scholars and Prophets deals with the historical genesis of the long and rich scholarship on India in France since the beginning of 19th century, with particular reference to the work of Louis Dumont It considers the works of scholars and the essayists, poets, or esotericists who published on India and shows that Dumont has been influenced by both groups. This understanding illuminates the main criticism that is still addressed to Homo Hierarchicus, which is that in this book Dumont mistook the internal, Brahminical view point on the caste system for a sociological view. 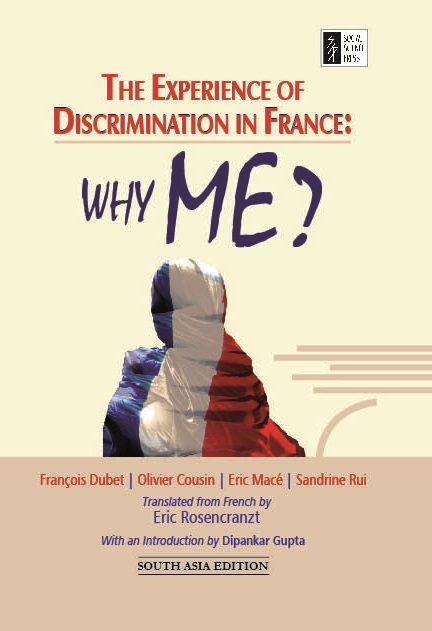 In the course of explaining the French intellectual tradition the author relates many fascinating interactions and little known anecdotes of famous men and women which capture the intellectually vibrant climate of the time. In the last chapter, the book contrasts Dumont’s work with issues raised by McKim Marriott’s project? and the Subaltern Studies from India. It defends that the core issue dealt with by all scholars is the epistemic status given to scientific knowledge of Indian society. A very interesting feature of this book is the manner in which Roland Lardinois provides well written profiles of leading intellectuals. Both scholars and students of the social sciences will find this book very useful. Roland Lardinois is a sociologist, Research Fellow (HDR) at the French National Centre for Scientific Research (CNRS), member of the Centre d’Etudes de l’Inde et de l’Asie du Sud (UMR 8564) at the Ecole des Hautes Etudes en Sciences Sociales, Paris. Since November 2009 he has joined the Centre de Sciences Humaines, New Delhi. India has always been a land of contrasts and marvels. Today it contrives to be a functioning democracy in the midst of a society that remains inherently hierarchical. 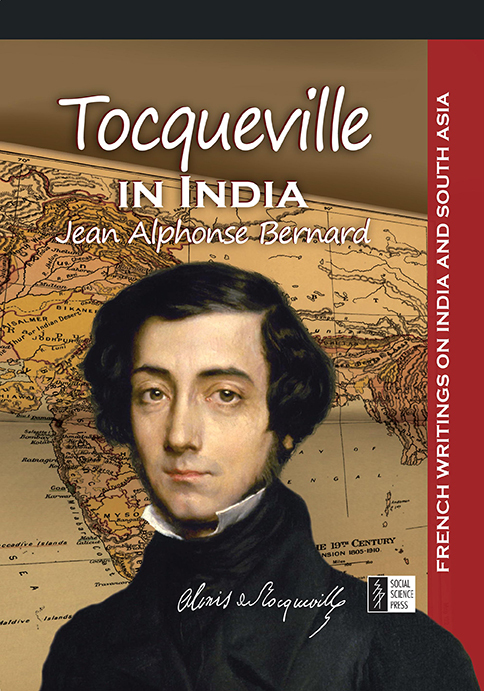 In order to grasp this paradox in all its dimensions, Jean Alphonse Bernard resolved to revisit the realities of India now in the company of Alexis de Tocqueville ( 1805-59). Tocqueville in India explores the enduring dialogue between the State and Society. Following neither Fukuyama nor Huntingdon, this book should attract the attention of those concerned by Indian issues as well as every reader interested in political philosophy or world affairs. This book is not just another biography of Gandhi. It is valuable because it offers us a French view—and Jewish too perhaps—of a man and times so familiar to us and yet which acquires another dimension as it is represented through another culture. There are eloquent accounts in this book of philosophers like Ramakrishna and Vivekananda who influenced Gandhi’s thought and life. Rather than political events, Michaël de Saint-Chéron holds up the force and courage of a man who became a prophet in a blood-thirsty century. 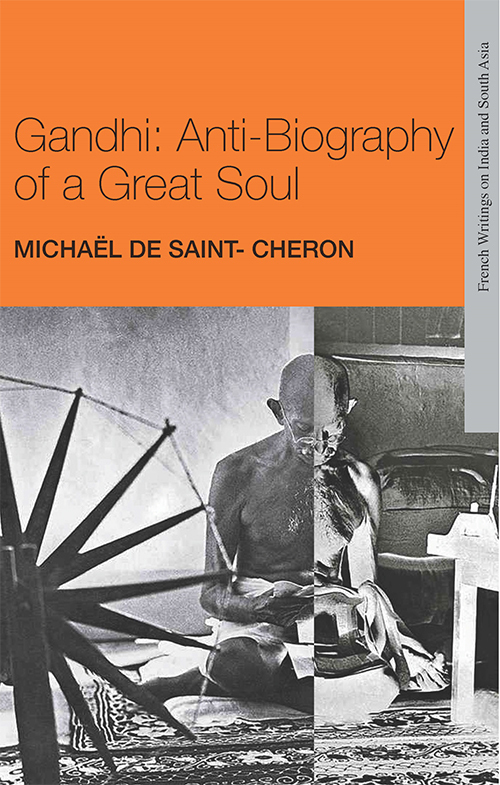 The author also looks at how Gandhi has played a major role in shaping French intellectuals such as Andre Malraux. At the end however, a central dilemma, and a painful one in this work, concerns Gandhi’s silence on the Holocaust. This book will be of interest to scholars working on Gandhian studies, Indian philosophy and Judaism, and to readers of politics, ethics and history.